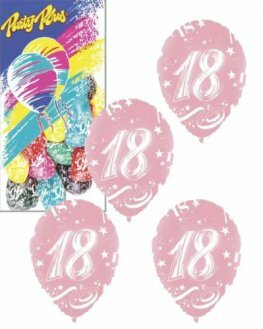 Happy Birthday Tankard Glass. 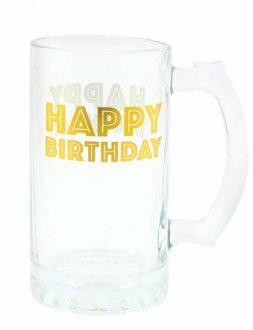 This Birthday Tankard Glass Is 15cm High And Is The Perfect Gift. 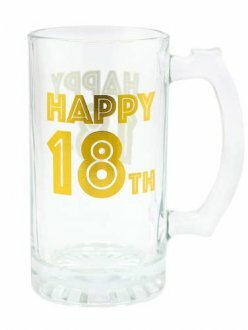 Gold Celebration Happy Birthday Tankard Glass Is 15cm High x 8cm Wide. 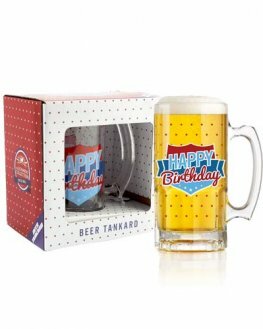 The Tankard Glass Is Boxed To Make The Perfect Gift To Celebrate Your Birthday. Let Me Drink About It Gold Beer Glass. 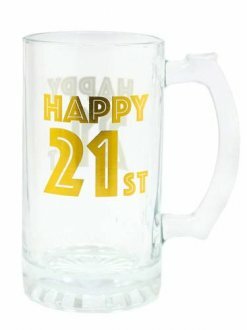 This Beer Glass Is 8cm x 8cm x 15cm And Would Make The Perfect Gift For That Beer Drinking Loved One. 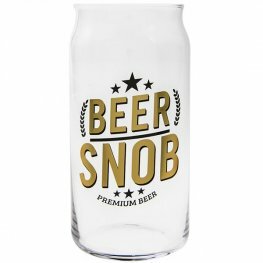 Beer Snob Gold Beer Glass. 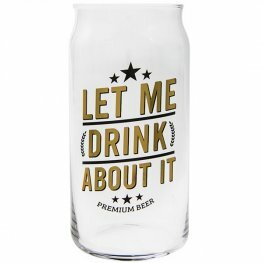 This Beer Glass Is 8cm x 8cm x 15cm And Would Make The Perfect Gift For That Beer Drinking Loved One. 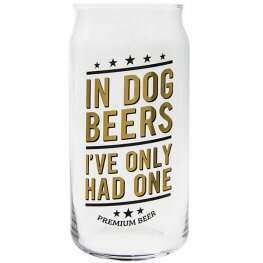 In Dog Beers I've Only Had One Gold Beer Glass. This Beer Glass Is 8cm x 8cm x 15cm And Would Make The Perfect Gift For That Beer Drinking Loved One. 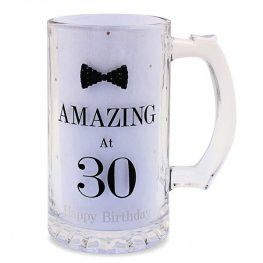 This Mad Dots Amazing At 30 Happy Birthday Glass Tankard Comes Boxed To Make The Perfect Gift For Your Loved One. 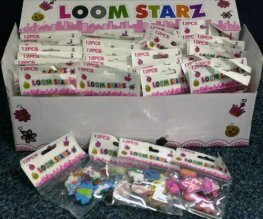 It Measures 13cm x 8cm x 15cm. 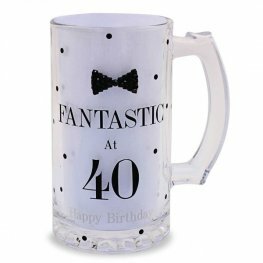 This Mad Dots Fantastic At 40 Happy Birthday Glass Tankard Comes Boxed To Make The Perfect Gift For Your Loved One. It Measures 13cm x 8cm x 15cm. 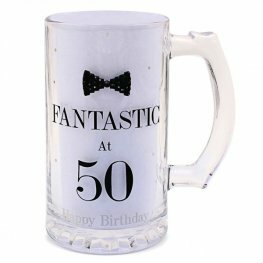 This Mad Dots Fantastic At 50 Happy Birthday Glass Tankard Comes Boxed To Make The Perfect Gift For Your Loved One. It Measures 13cm x 8cm x 15cm. 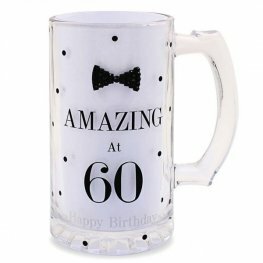 This Mad Dots Amazing At 60 Happy Birthday Glass Tankard Comes Boxed To Make The Perfect Gift For Your Loved One. It Measures 13cm x 8cm x 15cm.